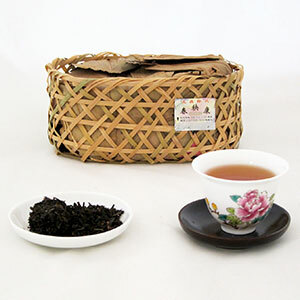 Produced in 2010 and using the traditional packaging of a bamboo basket, this tea is made from the Sinensis variety of tea leaves from Anhui province. 450g of leaves are compressed in a small bamboo baskets and wrapped in bamboo leaves to preserve its original flavor. This LiuAn possesses very unique flavors of pumpkin seeds, almond and olive. With time, this tea will become mellower and sweeter. 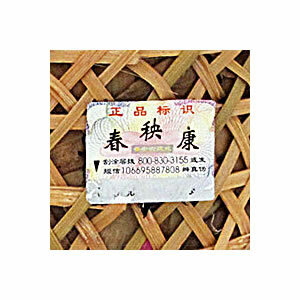 The raw material of this tea was personally selected by Master Chan and is the only non-Pu-erh dark tea produced by him. Use 5g of leaves per 6 oz of water. Prior to brewing, rinse with boiling water (212F/100C). Start brewing with 195F/90C water and follow the suggested steeping times below.